Dive into an undersea world of adventure with Scuba Fishing, the latest online slot from RTG. In this wonderful world beneath the waves you encounter an amazing selection of fish and sea life as you search for treasure amid the Wild Sharks. 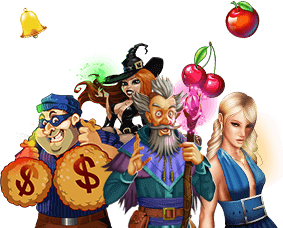 Sign up with a minimum $50 deposit and get 250% no max Bonus + 50 Free Spins! Just use coupon code SCUBAWINS. Scuba Fishing is designed to accommodate both penny slot enthusiasts and those who like to spend a little bit more on each spin of the reels. A 3-reel title with 27 paylines makes it possible to keep the wagers for the game low. Remember the convenient Autoplay feature, just set a bet level, determine how many spins you want to play, and enjoy watching the hilarious show.